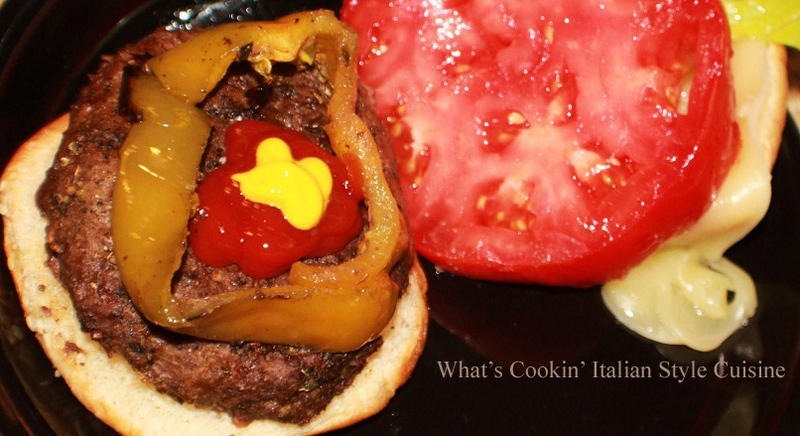 ﻿﻿ Not only a great Italian style burger but just a way our Mom would make hamburgers with an Italian flair is the perfect tribute to recreate on Mother's Day for her this year. I miss her way of making the simplest meals and turning them into a banquet. This was dressed to the nines as Mom would say. Melted provolone cheese, tomato, Romaine lettuce a thick burger with peppers. Oh course Dad loved his onions too! You can add whatever you like on it but it's all in the way she spiced it up.... take a look. 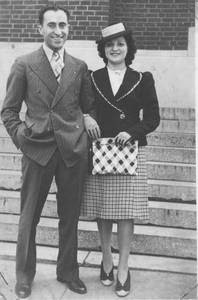 So today I am making hamburgers ala Margaret Ann Fanelli Colenzo in style, Happy Mother's Day wherever you are my dear mother in heaven, I will always cherish and love our memories we shared in the kitchen. Italianelles sliced are the first choice. 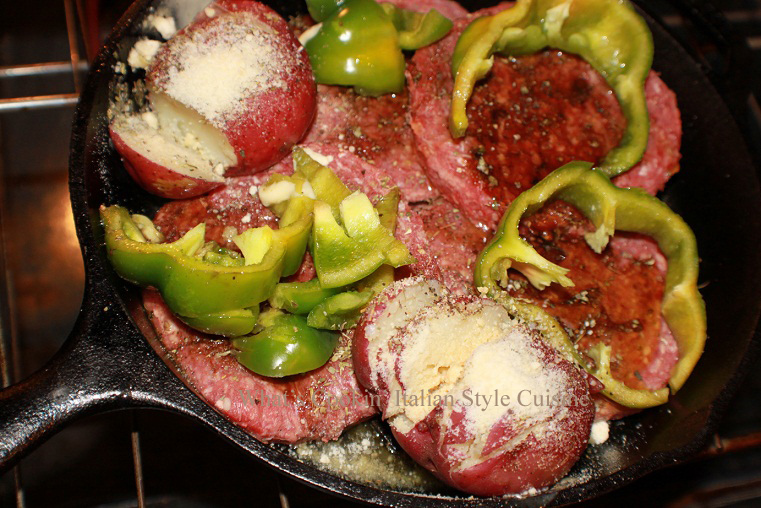 If you can't find them us bell pepper sliced in rings (around 2 peppers) or pepperoncini sliced. Italian seasoning not much just around 1/4 teaspoon on each burger we made our own blend. Dried basil, oregano, parsley, thyme, salt, black pepper and garlic powder. Equal amounts around 1 teaspoon each. provolone cheese, tomatoes, Romaine lettuce, pickles, Italian olives, bacon, prosciutto, mushrooms sauteed, onions, fresh roasted garlic, tomato sauce, pepperoni, mozzarella cheese, hot peppers, olive oil and vinegar on a garlic bun toasted. Preheat oven to 400 degrees. Spray pan with cooking oil. Place the patties in the pan. Drizzle a few drops of Worcestershire sauce on each pattie, sprinkle with seasoning over each pattie, Italian seasoning and grating cheese. Place pepper of choice on top of hamburgers. Drizzle a little olive oil over each ring. Sprinkle with more grating cheese. Bake for 45 minutes until burger are browned and potatoes are crisp on top. Serve with Italian home fries my dad's recipe! Serve on Italian bread rolls with your favorite topping. Suggestions would be provolone cheese, tomatoes, Romaine lettuce, pickles, Italian olives, bacon, prosciutto, mushrooms sauteed, onions, fresh roasted garlic, (of course peppers) and anything else your heart desires. Marinara is you want a pizza burger. Traditional sauces for a hamburger Italian/American style.